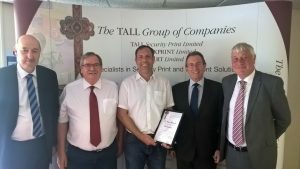 TALL Security Print, part of The TALL Group of Companies, the UK leader in the provision of secure paper and electronic payment solutions, has celebrated the achievements of a long-serving employee who has risen through the ranks during 25 years of service. Ed Starkey was presented with a certificate and vouchers in a special ceremony to mark a quarter of century at the company. 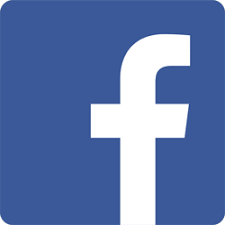 Ed joined TALL Security Print in 1992 as a Small Offset Printer, where he supervised a single-colour printing press. A number of promotions followed over the years, which involved Ed managing a range of larger machinery, including the multi-colour continuous web presses. During his time at TALL Security Print, Ed has also carried out duties in every area of production including Finishing and Dispatch. He currently fulfills the role of Print Manager with a responsibility to oversee the smooth running of day-to-day operations, whilst managing 13 staff. The Runcorn office holds special memories for 45-year-old Ed from both a professional and personal perspective, as it was where he met his wife Lorna, who works in the commercial department. It was paintbrushes to the ready as a Hinckley-based printing firm recently took part in a special community initiative to refurbish a playground in Braunstone. Employees from Checkprint donned their overalls for the day as part of the company’s commitment to Leicestershire Cares. 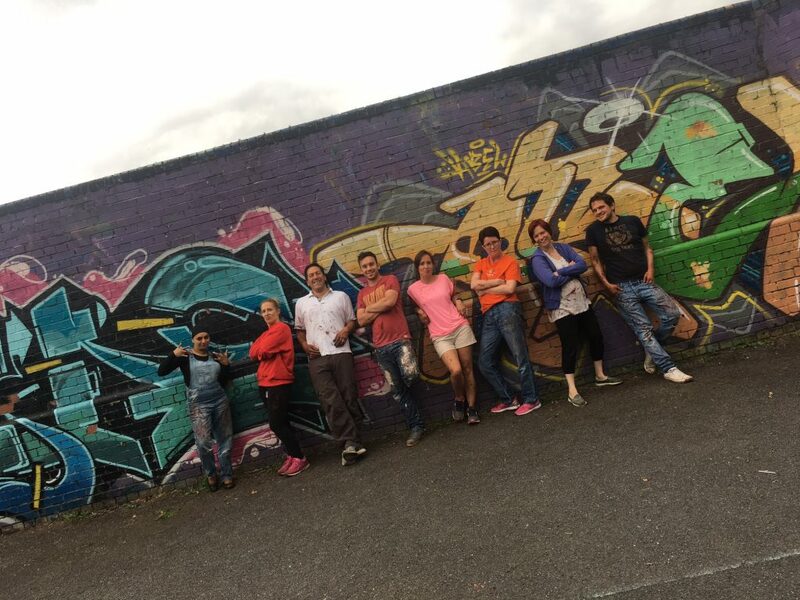 Nine staff members rolled up their sleeves to take part in an eight-hour painting session that saw the team re-stain the entire assault course. This initiative formed part of the Braunstone Adventure Playground’s Restoration Week, which sees the entire facility renovated for the summer holidays. Checkprint, based on the Dodwells Bridge Industrial Estate, signed up as a member of the not-for-profit organisation Leicestershire Cares earlier this year, pledging to participate in a number of projects designed to benefit the local community. So far, team members have also delivered weekly lessons to Year 3 & 4 pupils from Battling Brook Primary School, helping students to improve their maths skills. They have also visited Hinckley Academy to carry out reading lessons for 11 to 14-year-olds, and provide training sessions on interview techniques to help school leavers prepare for work.